All over the world, the use of medical marijuana is a subject that has drawn a lot of debate. The fact that the drug is considered to be addictive and might also be associated with conditions such as psychosis has led many agencies to not allow its use. However, you will find that the latter only happens in a very small proportion of the population, and only then when they are predisposed such as when they have a family history of psychosis. 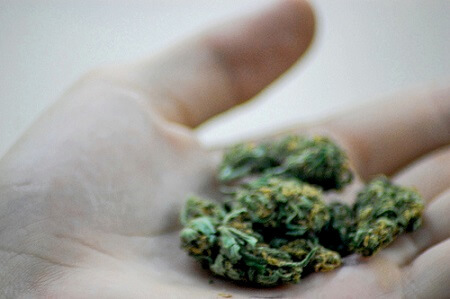 The addiction is not a major issue with marijuana when compared to other drugs, and is therefore not a very strong basis for one to avoid it when they need it for medical reasons. In order to be able to buy the marijuana, you will need to get the right prescription from a physician in good standing. Some people might make the mistake of thinking that they can use the drug and then claim that it’s for medical reasons once they get into trouble with the law, but you will need the strength of a doctor’s prescription to do this. Though the use of medical marijuana is allowed in Canada, you should keep in mind that it’s not an approved drug. This makes it a complication when you need to purchase the drug, but the fact that there are many pharmacies that are now stocking it means that this should not be a problem for you. If you want to, you can also grow your own. Though the drug is not approved in Canada, the evidence that is beneficial in many conditions is overwhelming. For instance, people who suffer from chronic conditions such as cancer might find it useful to use the drug, since it helps them gain a better appetite and therefore gain weight. In addition to that, it has also been shown to be extremely beneficial in alleviating some mood disorders such as depression. Recent studies have also shown that for people with chronic pain, the regular use of marijuana can have a positive effect in reducing it without exposing them to some of the risks that conventional drugs normally have. When most people think of marijuana, the only thing they think of is that it’s smoked. Though this is one of the commonest ways of using it, other methods of doing so include by eating it (such as by using the extract to bake) as well as by using a vaporizer. The latter is often preferred by many people using the drug for medical reasons, since it delivers a more concentrated amount of the drug to the body. This means that the individual ends up gaining the benefits of using it in a shorter time.